Materials: 5 skeins of Lion Brand Wool-Ease (I used blush heather). Size 7 circular needles with 36" cable. Cast on 136 stitches. Knit 1 1/2 inches in garter stitch (knit front and reverse). 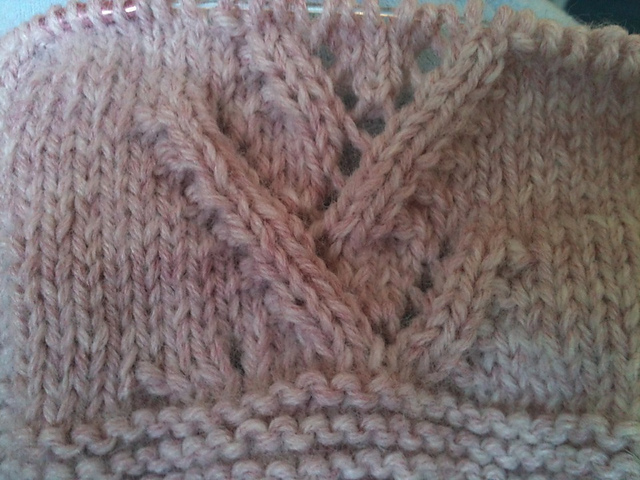 Begin Pattern: Maintain a 5 stitch band of garter stitch as the border. 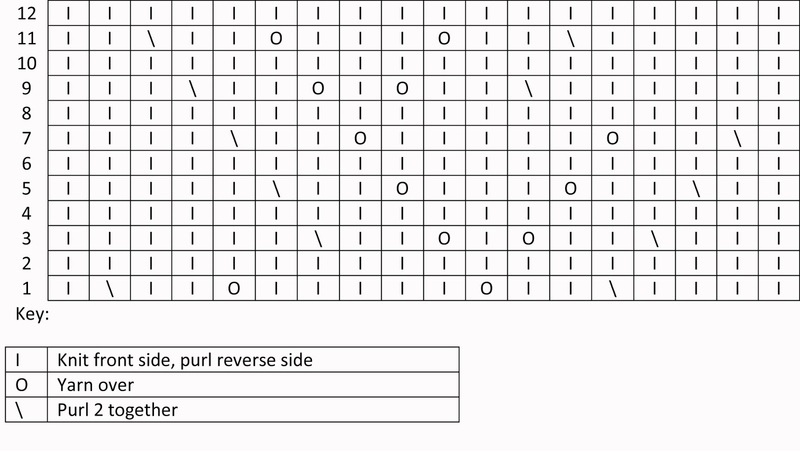 Knit chart 7 times for each row. Row 1:knit 5, *knit 4, purl 2 together, knit 2, yarn over, knit 5, yarn over, knit 2, purl 2 together, knit 1* - repeat from * to * 6 times more, knit 5. Repeat chart until afghan has reached the desired length (approximately 34 1/2 inches). 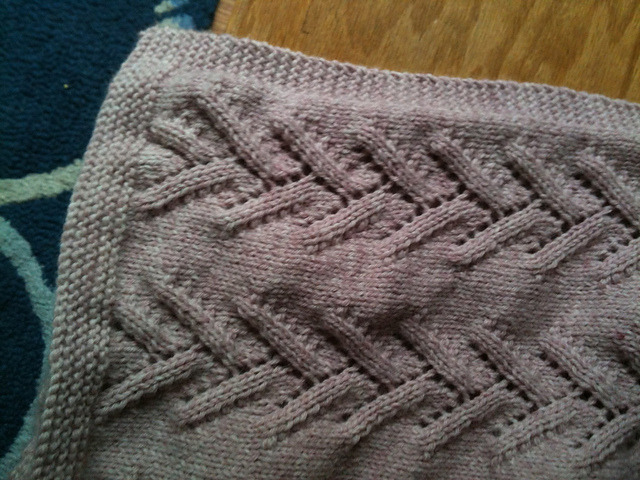 Beginning with reverse side, knit 1 1/2 inches in garter stitch. Bind off.